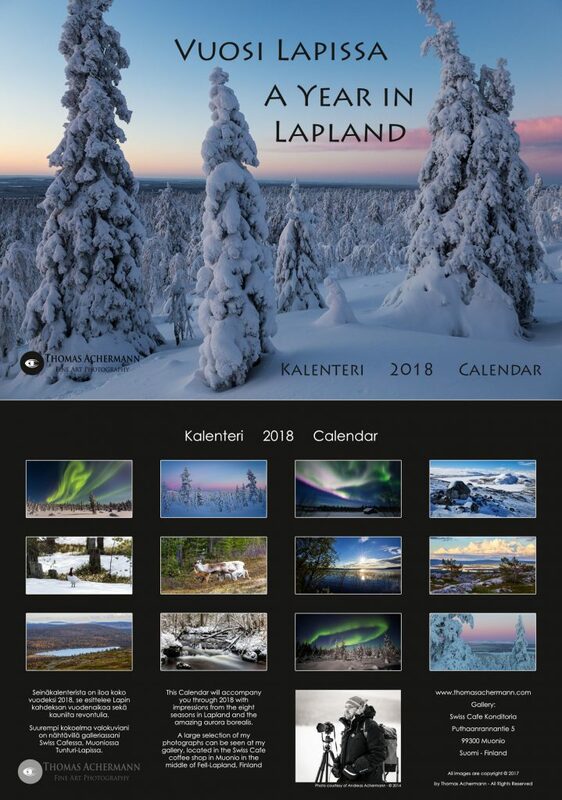 my new calendar “A Year in Lapland – 2018” has just arrived from the printer. It is now available online or directly in my gallery, located at the Swiss Cafe in Muonio. Printed on thick 250g/m2 high quality paper with UV coating applied in large A3 format (42x29,7cm).